To check the results of your Twitter activity, you have two options. The first is free and offers the basics. The second option is paid but gives you much more data and information. Number of tweets linking to you. Number of likes, retweets, and replies. That is a lot of info, and all of it can give you some insight into your audience and your performance. They’re not all essential, but the extra metrics are a nice addition. It’s the best place to start checking your activity and figuring out how you’re performing. The other option is to use a social media analytics tool. Generally speaking, these tools offer you the same metrics available in Twitter analytics. On top of this, they also have more in depth analytic options and useful features for improving your performance. Take Sotrender, for example. Sotrender allows you to compare your activity with that of you competitors. 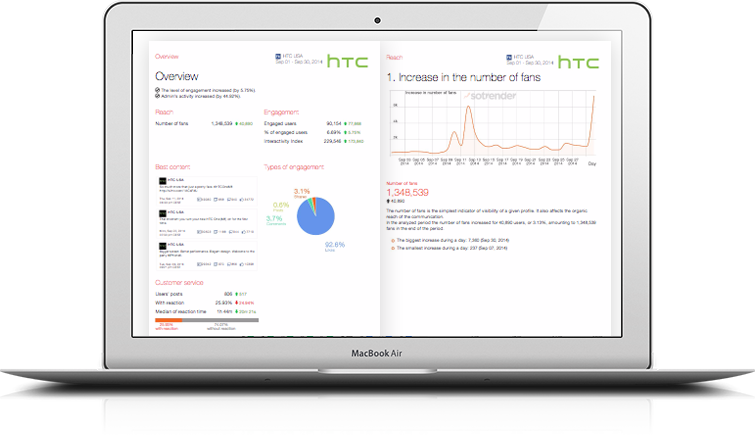 It lets you download instant automatic reports that summarizes your performance over the past month. It also lets gives you specific tips on how to improve your performance, without you having to do any work. Features like this makes using an analytic tool an important part of your Twitter performance. But whether you use Twitter Analytics or a tool like Sotrender, checking your activity is essential to getting the most from Twitter. How do I start advertising on Twitter?